The Newark Bike Project has migrated between several temporary spaces in the last couple of years. We were able to use those subsidized spaces to prove our business model and commit to a real lease of a longer term space. This new space, at 136 South Main St, is a new building where we will be the first tenant in our unit. This lets us highly customize the space to make maximum use of every square foot. 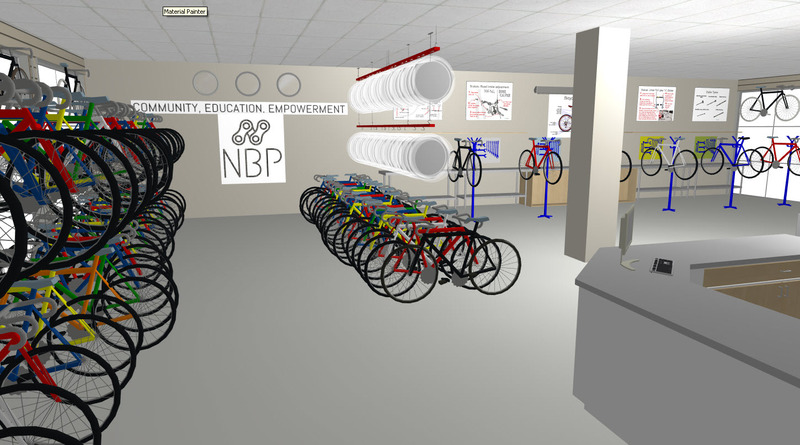 We are pursuing a custom community bike shop design that borrows from several successful shops around the US. The landlord’s construction is complete, and our volunteers have already painted the walls. We are about to undergo a process to paint the floors, then we can move in all our bikes, parts, tools, counters/workbenches, and supplies and finally set up the new shop! We will continue to post updates here and on our Facebook Page. We probably will not open to the public until the end of July or first week in August. If you’d like to be added to our volunteer email list to find out about shop set up events where you can join the team, please email us at info@NewarkBikeProject.org. Thank you for your support while we build out the best community bike shop space we can create. Ride on!